History Through A Supreme Court Justice's Lens Supreme Court Justice Stephen Breyer's new book, Making Our Democracy Work, A Judge’s View, is a combination of history and legal philosophy. It argues that there are no easy, color-by-numbers answers to many legal questions and that to suggest there are is an illusion. U.S. Supreme Court Justice Stephen Breyer's book, Making Democracy Work, A Judge's View, is a combination of history and legal philosophy. U.S. Supreme Court Justice Stephen Breyer has sparred for years with Justice Antonin Scalia on the printed pages of legal opinions. The two have even debated about constitutional interpretation in public. And now Justice Breyer has taken his argument to the printed pages of a book written for popular consumption. In his first interview about the new book, Breyer's targets are the ideas of originalism and textualism advocated by Scalia -- the notion that the framers of the Constitution meant what they said and no more -- and that the provisions of the Constitution are limited to what they covered back in 1789. 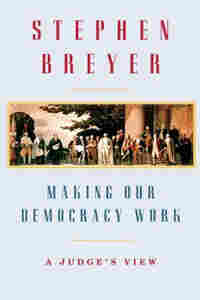 Breyer's book, Making Our Democracy Work, A Judge’s View, is a combination of history and legal philosophy. It argues that there are no easy, color-by-the-numbers answers to many legal questions and that to suggest there are is an illusion. Scalia’s view is much more black and white. “The Constitution that I interpret and apply is not living, but dead,” he famously said. Scalia contends that the Constitution is not flexible and its meaning cannot change over time. To allow the Constitution's meaning to morph over time, he contends, just allows judges to say it means whatever they want it to say. Read an excerpt of Making Our Democracy Work, A Judge's View. Citing the Constitution’s prohibition of “cruel and unusual” punishment, Breyer notes that standards of morality evolve over time. “Flogging as a punishment might have been fine in the 18th century. That doesn't mean that it would be OK, and not cruel and unusual, today,” he says. What about the First Amendment freedom of speech? There was no Internet in 1789 -- no radio or television. You can't simply "freeze" the Constitution with the "dead hand of the 18th century," he contends. What's more, he says, historians don't agree on what the founders meant at the time they wrote the Constitution. The job of the Supreme Court, Breyer says, is to apply the Constitution's values to modern circumstances, using the tools of judging: precedent, text and an assessment of the purpose of the constitutional provision at issue. To illustrate the difficulties, Breyer points to the question of congressional term limits enacted in some states in the early 1990s -- a question the court decided in a case from Arkansas. The Constitution says that to be a member of Congress you must be at least 25 years old, a citizen of the United States and a resident of the state from which you are elected. That's all it says. So, can a state add to that list of qualifications by disqualifying anyone who has served three or four terms before? Ultimately, a five-justice Supreme Court majority concluded that the list was exclusive and that states could not add requirements to it. Breyer says the court majority concluded that allowing the addition of state qualifications would significantly change the nature of a federal institution, and that the founders did not intend that. The other four justices felt it was more important for states to control what their own representation in Congress would be. Breyer's book has many sections devoted not to such philosophical arguments but instead to the drama of the court’s history. It’s what he calls the "Mary Poppins" approach -- or as he puts it: "A little bit of sugar helps the medicine go down." The history chapters cover some of the court's most famous and infamous decisions: The court’s 1831 decision telling white Georgians that they could not simply kick the Cherokee Indians off land that was theirs by treaty with the U.S. government, and President Andrew Jackson’s action to not only disregard the decision but countermand it; the Dred Scott case, which upheld the constitutionality of slavery; the Little Rock school desegregation case in which the court's desegregation orders were enforced by federal troops; and the court's 1944 decision upholding the internment, in barb-wired camps, of all individuals of Japanese descent living on the West Coast -- 120,000 people, 70,000 of whom were U.S. citizens. Breyer notes that both the court and the government knew by the time the case was decided in 1944 that the principle justification for the internment was false -- there had never been secret Japanese-American saboteurs. The FBI director, J. Edgar Hoover, told authorities that government agencies had monitored all signals to ships at sea and found none were from Japanese Americans. What’s more, by the time the case got to the Supreme Court, the U.S. was winning the war. So why, when the end of the war was in sight, did the court ratify the internment decision made by President Roosevelt? A decision that imposed no limits on the president came to be regarded as so wrong that Congress formally apologized for the internment and paid reparations in 1988. The lesson, as Breyer sees it, was reflected in the court's decision when President George W. Bush, acting on his own authority, set up a detention camp at Guantanamo, and the court ruled that the detentions were subject to review by U.S. courts. Guantanamo “in my own mind represents an effort by the court to say there are some limits,” he says. Such decisions are often unpopular. At the same time, Breyer argues, it is important for the public to understand the value of an independent judiciary that may sometimes, in his words, decide things the public doesn’t like "one little bit." Pointing to Bush v. Gore, the Supreme Court ruling that decided the 2000 presidential election, Breyer notes that he was in dissent, on the losing side of the 5-4 decision. 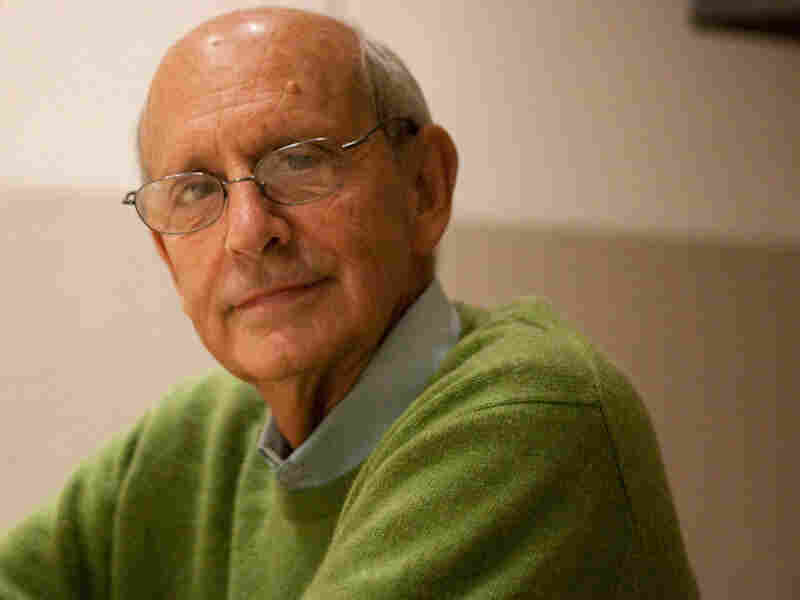 Breyer, 72, was nominated to the court by President Clinton in 1994. He’s now fifth among the nine justices in length of service. He finds himself in dissent more and more these days on a court that is dominated by a new brand of conservative. But he is undaunted.